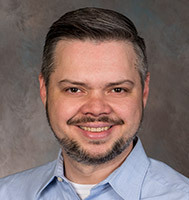 James Blackmer is a American Board Certified Pedorthist with more than 15 years of experience in the field as both a practitioner and a technician. He completed his pedorthic training at Northwestern University in Chicago, IL. James specializes in treating a wide variety of foot and ankle disorders using orthotic devices. He also has an extensive background in diabetic foot complication and partial foot amputations.